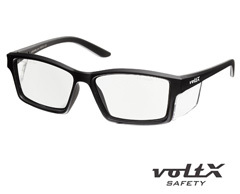 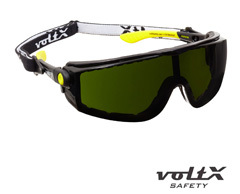 Off the shelf CE EN166F certified full lens reading safety glasses. 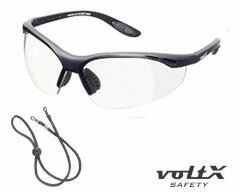 QUAD' 4 in 1 (Clear) Full Lens Reading insert Safety Glasses, with foam insert, removable headstrap & adjustable earstems. 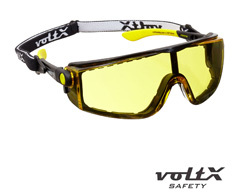 QUAD '4 in 1' (Yellow) Full Lens Reading insert Safety Glasses, with foam insert, removable headstrap & adjustable earstems. QUAD '4 in 1' (Smoke) Full Lens Reading insert Safety Glasses, with foam insert, removable headstrap & adjustable earstems. 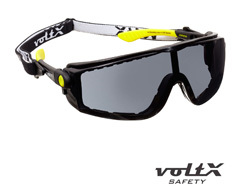 QUAD '4 in 1' (Welding Shade 3) Full Lens Reading insert Safety Glasses, with foam insert, removable headstrap & adjustable earstems. QUAD '4 in 1' (Welding Shade 5) Full Lens Reading insert Safety Glasses, with foam insert, removable headstrap & adjustable earstems.